We’d love your help. 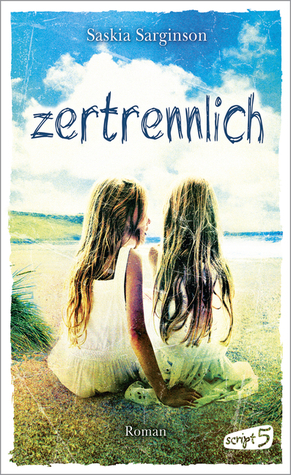 Let us know what’s wrong with this preview of Zertrennlich by Saskia Sarginson. Ein flirrender Sommer an Englands Ostküste. Die Zwillingsschwestern Viola und Isolte sind durch duftende Kiefernwälder gestreift, haben auf nebelüberfluteten Lichtungen längst vergessene Sagengestalten beschworen und den scharfen, salzigen Wind des Meeres geatmet. Doch nun, fünfzehn Jahre später, scheinen die beiden nichts mehr gemein zu haben. Während Isolte sich mit verz Ein flirrender Sommer an Englands Ostküste. Die Zwillingsschwestern Viola und Isolte sind durch duftende Kiefernwälder gestreift, haben auf nebelüberfluteten Lichtungen längst vergessene Sagengestalten beschworen und den scharfen, salzigen Wind des Meeres geatmet. Doch nun, fünfzehn Jahre später, scheinen die beiden nichts mehr gemein zu haben. Während Isolte sich mit verzweifelter Lebensfreude der Welt entgegenwirft, hungert Viola sich in den sicheren Tod. Während eine der Schwestern sich verbissen an ihre Ziele und Pläne klammert, wünscht die andere nichts sehnlicher, als sich aufzulösen und ihrer Vergangenheit zu entkommen. To ask other readers questions about Zertrennlich, please sign up. Am I right in thinking there is a major historical error in this? The reference to Hungerford is when they are children, but if it's referring to the massacre that was in 1987. Becca Bray Yep. I noticed that too! Unfortunately, I finally had to give up on this book after drudging my way through 40% of it. So please keep in mind that this review is only for the parts of the book that I was able to finish. I really did want to like this book...it had an intriguing premise, based on the powerful connection between two twin girls. The idea of identical twins has always interested me, and I normally like books that are classified as "drama," so I thought that, for sure, this one was going to be a winner. But i Unfortunately, I finally had to give up on this book after drudging my way through 40% of it. So please keep in mind that this review is only for the parts of the book that I was able to finish. I really did want to like this book...it had an intriguing premise, based on the powerful connection between two twin girls. The idea of identical twins has always interested me, and I normally like books that are classified as "drama," so I thought that, for sure, this one was going to be a winner. But it just...wasn't. At all. At first, I thought that The Twins might just be a slow-starting book that takes a little while to get into. But, 40% through the book, I was still dragging my heels every time I thought of opening it up again. I just couldn't make myself go through that anymore...it's not fair to me or the book. — There is basically no information given about the setting in which the story takes place. From what I could tell, it took place sometime between the early 1980s and early 1990s, and part of it was set in London. But you don't receive even this small amount of information until 17% of the way through, when one of the characters finally mentions using a typewriter. — The horrifically inappropriate use of animal violence. There was a pretty graphic scene in the very beginning of the book involving a sick rabbit that was…not exactly pleasant to read about. While I can see the potential metaphoric meaning behind it (although it didn't necessarily go anywhere in the 40% that I read), I very much dislike it when authors choose to use a shocking and gory event to strategically pull some sort of emotional reaction from the reader, without it really have any significance to the storyline. There's a time and a place for explicit animal violence, and I don't believe that that was in this novel. Especially because the rabbit thing was not the only time it happened. There were a few other instances of creepy and upsetting animal cruelty that were not, I feel, appropriate or warranted. — After spending so much time reading this book, I have absolutely no idea what the plot is. It doesn't really seem like there is a plot, to be honest. I guess it's about twin girls who are both going through varying degrees of mental illness, related to the fact that they had a really hard childhood with their hippie mother who used to live on a commune. But that's it. I almost want to finish this book, just to see if it eventually went somewhere. — The biggest problem with the plot is that the entire book is pretty much made up of each of the girls having flashbacks to when they were younger. It is probably the worst experience of reading a "flashback" book that I've ever had. I spent much of my time reading this book in a state of total confusion. The flashbacks were sudden and jarring, often taking me a couple of paragraphs to fully acclimate to what was going on (who's the narrator, where are we, how old is she?). And the flashbacks weren't done in any sort of understandable pattern. Sometimes there were multiple flashbacks in one chapter, all happening at different time periods, and different people were having these flashbacks. The most confusing thing was that the most frequent type of flashback was when the adult-Issy would flashback to child-Viola (both the flashback and present-day being in first-person). This shouldn't be narratively possible. Maybe it's some sort of commentary on how twins are all connected and stuff? I'm not sure. But it was extremely confusing and did not work. I read The Twins on a flight between Sydney and Perth, and the book allowed the hours to pass almost unnoticed. Two threads are interwoven in this tale of Isolte and Viola, twin sisters who were inseparable as children but who have grown to live very different lives. Isolte has a successful career working for a fashion magazine; Viola has struggled for years with an eating disorder. The novel combines the story of the twins as adults with the story of their highly unusual childhood, and a particu I read The Twins on a flight between Sydney and Perth, and the book allowed the hours to pass almost unnoticed. Two threads are interwoven in this tale of Isolte and Viola, twin sisters who were inseparable as children but who have grown to live very different lives. Isolte has a successful career working for a fashion magazine; Viola has struggled for years with an eating disorder. The novel combines the story of the twins as adults with the story of their highly unusual childhood, and a particular event that cast a long shadow over their futures. The structure of the book is highly effective, with each twin having the point of view in alternate chapters. Isolte's chapters are the present-day story and are in third person; Viola's chapters, in first person and told from the depths of her illness, reveal the story of the past. Top marks for the subtly developed love story in this book. Twins Isolte and Viola start their lives with a free spirited, damaged mother living off the earth in a somewhat hippy existence. While their home is dilapidated and their bellies are often empty the little girls are feral and happier than they become later in life. After a tragic accident steals them of their bohemian mother they are forced to move in with their aunt leaving behind their new best friends, two twin boys who have become everything to Viola. A mistake the children made together ha Twins Isolte and Viola start their lives with a free spirited, damaged mother living off the earth in a somewhat hippy existence. While their home is dilapidated and their bellies are often empty the little girls are feral and happier than they become later in life. After a tragic accident steals them of their bohemian mother they are forced to move in with their aunt leaving behind their new best friends, two twin boys who have become everything to Viola. A mistake the children made together has cost them all their innocence and for each of the four friends it has left cracks in the foundation of who they have become. Isolte has grown into a successful fashion writer living a posh life with boyfriend Ben while sister Viola is withering away from an eating disorder in a hospital bed. Soon everything changes for the twins and Isolte must return to their childhood home to help Viola and herself heal while for the reader the fork that has caused the twins to go in drastically different directions is shown. The novel alternates as a narration of each twin, going back and forth from the past to the present, normally this bothers me when I am reading but it made sense for this novel. I enjoyed reading about their childhood and could imagine myself barefoot with ratty hair running around free alongside the twins. What I thought was going to be a simple coming of age story later became such a tragedy. What Saskia Sarginson did so well in this debut novel was exposing seemingly successful twin Isolte's true core. We all carry our past and it runs in a loop. Sometimes the best moments of our lives are shadowed by horrible events or people. This book is difficult for me to review because it's so muddled, I don't know where to begin to describe the story or my opinion of it. The book was described as involving a set of twins who were inseparable until an innocent mistake tore them apart. I witnessed an incident quite similar to the "innocent mistake" these twins were part of when I was younger than they were in the story. Even at that young age, I knew what was happen I received an ARC from GoodReads in exchange for an honest review. This book is difficult for me to review because it's so muddled, I don't know where to begin to describe the story or my opinion of it. The book was described as involving a set of twins who were inseparable until an innocent mistake tore them apart. I witnessed an incident quite similar to the "innocent mistake" these twins were part of when I was younger than they were in the story. Even at that young age, I knew what was happening was no mistake, and it certainly was not innocent. Because of that, I take exception to the girls of this stories being victims of an accident. The Twins are Isolte and Viola. They are reared by a mother who is irresponsible in her life choices, and as a result her two children grow up without much guidance and without much sense of what responsibility even means. Left to their own devices while living in an isolated area in a ramshackle home, they befriend two boys, also twins. The story moves haphazardly between Isolte and Viola's childhood and young adulthood with clues thrown about here and there describing their mother and her maternal attitudes. Both Viola and Isolte narrate parts of the story; it is often difficult to discern who is doing the telling. It becomes more interesting once they hook up with the twin boys, but even that is told in sketchy fragments. It seemed to me that the author had an idea for a compelling story about a tragedy that occurs to twins, and how this one deed affects the rest of their lives into adulthood. The question seems to be whether they can get past what happened because of their behavior or whether it will destroy at least one of them permanently. Had there been a more traditional beginning, middle, and end, this might have been a far better book. It also would have been an improvement if the author had given more time and thought to defining her characters instead of wasting so much space nearly dissecting what the landscape was like in the woods surrounding the family home. One example of this really stood out for me -- does anyone know what fermented cuckoo spit smells like? Really? This is the story of two twins who lived with their mother who was a hippy. She had originally lived in a commune and then moved the kids into a cabin in the woods. She kind of let them do their own thing. They spent a lot of time in the I know many people who hate reading books that are told in multiple points of view. I happen to love it. I feel like I get a more rounded picture in my head. This book is not only told in multiple points of view but also alternates between first and third person. I absolutely loved this book. It is definitely one of the best books I have read in a long time. This is one of those books that you keep thinking about when you lay it down and after you are finished reading it. The story is wonderful, the characters are well developed, I think almost everyone would be able to relate to this book. The main part of the story takes place in 1972 when the twins, Isolte and Viola are almost thirteen. Events take p I won this book in a Goodreads first-reads giveaway. I absolutely loved this book. It is definitely one of the best books I have read in a long time. This is one of those books that you keep thinking about when you lay it down and after you are finished reading it. The story is wonderful, the characters are well developed, I think almost everyone would be able to relate to this book. The main part of the story takes place in 1972 when the twins, Isolte and Viola are almost thirteen. Events take place that alter their lives, and shape the adults they become. This book keeps you interested all the way through it. The story alternates between 1972 and 1987, when the girls are twenty-eight. This had the potential of a four star book, I expected it would be. I was very disappointed. All of these things would have been so easy to fix, and it would have made the book much more enjoyable to read. Instead I felt as frustrated as I read it... disappointing. "We weren't always twins. We used to be just one person." I absolutely loved 'The Twins'. "I felt weightless, boneless, as if part of me had fallen away. And I knew then that I could fly. 'Watch me,' I whispered, opening my arms. And I jumped." The relationship between the girls and the way their past and present interlaced, shifting without warning from their lives as women, back to their haunting childhood was effortlessly raw, elegant and authentic. 3.fast and stealth as a puma." Saskia Sarginson weaves an absorbing story of twin girls growing up in the countryside. It darts between the years without a break; one moment you are with Isolte in London and the next it is a child Issy or a teenage Viola and then back to the hospital. But due to the strength of the characters voices you are never left too confused...and isn't that what life is a bit like anyway? Especially if you have inner demons clambering to get out. Maybe it is a smell, or a song and it triggers something, or sometimes your memories sneak up on you out of the blue and you could be standing anywhere, totally lost in the past. "But even as she touched the beautiful belonging of the moment, she was losing it." They are brought up by an erratic hippy mother, who after a long stint in a commune, decides to take the girls to the Welsh country side. Their life in the forest, isn't exactly ideal, but the three of them are happy. The twins make friends with two boys, who also happen to be twins, and their mother meets a nice carpenter...however their lives are entirely upturned by an innocent event that went tragically wrong and will end up shaping the rest of their lives. "But I wasn't alone - my sister was next to me, like she always was, stronger, bolder. Her eyes were dry and there was no wet patch under her chair. 'Don't say anything Viola...'"
Viola is the quite one of the girls, she relies on her sister to speak for her. We hear her story in the first person, flitting between a hospital ward and her past. Along with her timidity she is also very perceptive and sensitive...she struggles to deal with her mothers suicide and what happened to them during their childhood. "Fat is a human fault because it is only humans who are stupid with greed. Birds are as light as a handful of leaves." The tics that lead to her anorexia and anxiety were interesting, people using her size to tell them apart: "Aha! You're the bigger twin!" "That's what everyone says about bones, don't they? That they're pure. Clean. I trace the lines and they make a shape: the scaffold of myself." Isolte is the louder more brash twin, is plagued by her own demons...She is proud, detached, paranoid and afraid of letting anybody in. Her relationship with her photographer boyfriend is sweet and left me feeling hopeful for her future happiness...I really liked him but empathized with her fear of trusting him. "'I wouldn't be unfaithful to you,' he'd said, licking his fingers slowly. 'I wouldn't need to.'" "You are so funny! Don't you know woman don't have to wear those things any more?" She wants to bring them up with out the normal constraints of society, let them be wild, sculpted by the trees rather than teachers, but in the end it is too hard and she changes. Anyway this is an airplane read, something to pick up if you have a few spare hours. I hope you enjoy it as much as I did. Reading this book has transported me back in time, back to my childhood. It reminded me of all the games, tricks, wild little things we did during the Summer holidays. Isolte and Viola are twins growing up in Suffolk, where they are allowed to run free and wild. They even make friends with twin brothers Micheal and John and the four of them become unseparable, getting up to all sorts of mischief. What a fabulous childhood. Until one day something terrible happens. And this rips them all apart. W Reading this book has transported me back in time, back to my childhood. It reminded me of all the games, tricks, wild little things we did during the Summer holidays. Isolte and Viola are twins growing up in Suffolk, where they are allowed to run free and wild. They even make friends with twin brothers Micheal and John and the four of them become unseparable, getting up to all sorts of mischief. What a fabulous childhood. Until one day something terrible happens. And this rips them all apart. What happened? What happened to each of them as a result? The book is written in the point of view of the two girls, Isolte's part is written in the third person, while Viola's part is written in the first person. This was a bit strange at first, but I got into the groove of it fairly quickly. The book pulled me in from the first pages. I wanted to know everything. The story goes back and forth between the present and the past, but it's not confusing at all. It is endearing to read about their life in the forest, all the fun things kids get up to, all the mischief they create. And reading about young love blossoming is so lovely. All of this took me back to my own childhood. I also liked the ending - even though many reviewers thought otherwise. I liked that it was left open with a feeling of hope. Hope that things can turn out allright in the end. The questions at the end of book are great for book club group discussions. The interview with the writer also explains a bit about the ending and why she wrote it the way she has. It all makes sense. I heard Sarginson on BBC Womans Hour (along with her twins) and was intrigued by the premise. I enjoyed the nuances between the girls throughout the years; anyone who knows twins will see echoes of behaviours in this book. That was done very well indeed. I also liked the present-day story of Isolte and Ben; their life in London and the juxtaposition with the Suffolk upbringing was predictable but done well. Where this book falls short is the erratic use of flashbacks. Instead of being gently wove I heard Sarginson on BBC Womans Hour (along with her twins) and was intrigued by the premise. I enjoyed the nuances between the girls throughout the years; anyone who knows twins will see echoes of behaviours in this book. That was done very well indeed. I also liked the present-day story of Isolte and Ben; their life in London and the juxtaposition with the Suffolk upbringing was predictable but done well. Where this book falls short is the erratic use of flashbacks. Instead of being gently woven into the story, they seemed to be dropped in at random places where the plot begins to slow. Flashbacks are curious things; they either work very well or take the reader out of the story. Unfortunately these did the latter. I found myself going back and re-reading these parts a few times to figure out what I missed; eventually I just skimmed them. Also, the addition of a second set of twins was interesting, but I didn't really like either of the boys, and the scenes with the two sets of twins didn't work for me. I admit that's a vague statement, and I can't pinpoint why they didn't work - perhaps because I am familiar with that age group; perhaps because some of their actions seemed completely out of character. And the animal violence (as well as other violence!) completely put me off. I was also not surprised by the two 'twists', both quite predictable. It was like eating fast food; I felt reasonably satisfied, but not nourished. Growing up, Viola and Issy clung to each other in the wake of their mother's eccentricity, as she dragged them from a commune to a tiny Welsh village. They thought the three of them would be together forever. But an innocent mistake one summer set them on drastically different paths. Now in their twenties, Issy is trying to hold together a life as a magazine art director, while Viola is slowly destroying herself, consumed with guilt They were inseparable until an innocent mistake tore them apart. When it seems that Viola might never recover, Issy returns to the town they haven't seen in a decade, to face her own demons and see what answers, if any, she can find. A truly amazing beautifully crafted and totally engrossing novel. One of the best I have read in a long time.having been brought up in Suffolk close to where this novel is based it brought back many happy memories of days spent on shingle beaches. The descriptions of places, objects and people are so real you can almost see,touch and smell them. It is also written in the era before technology took over our lives so the simplicity of the story is wonderful. I thoroughly recommend this book. What is this book? Is it a thriller? Is it a mystery? It's got elements. It's also got reading group notes at the back which always makes me want to punch the book for having expectations. Isolte and Viola are twins living with their mother in a self sufficient existence. Their lives weave and seperate as they grow up. The narrative flips between sisters and past and present. I wasn't keen on this as I think it tried too hard - too hard to be quirky, too hard to reveal secrets that weren't that What is this book? Is it a thriller? Is it a mystery? It's got elements. It's also got reading group notes at the back which always makes me want to punch the book for having expectations. Jedna veľká depresia. Zničené osudy, nesprávne rozhodnutia. Ale aj zaujímavé opisy a občas kvapka nádeje. Rozhodne to nebudem čítať druhýkrát, ale keby aj prvá polovica knihy bola taká ako druhá, dosť by to pomohlo, rozbeh bol veľmi pomalý a veľmi dlhý. The premise of THE TWINS was relatively vague, and all the more intriguing for it. The story is set between 1972 and 1987, times in which there was no Facebook, Twitter, or even CCTV, which really manages to simplify matters a bit. Nowadays, certain parts of the story could easily be explained away or problems solved. It's interesting to think about how much these small things like Google and better security technology have changed things in the span of a relatively short time. In any case, back The premise of THE TWINS was relatively vague, and all the more intriguing for it. The story is set between 1972 and 1987, times in which there was no Facebook, Twitter, or even CCTV, which really manages to simplify matters a bit. Nowadays, certain parts of the story could easily be explained away or problems solved. It's interesting to think about how much these small things like Google and better security technology have changed things in the span of a relatively short time. In any case, back to the book. I did like the way this story was structured, jumping from one sister's narration to the other's, but I found it a little confusing that there were also jumps in time, without the reader really being told. I think saying 'Viola' or 'Issey' and the year as each chapter began would have been useful. But maybe there was meant to be a bit of confusion, because there is always this question of where one twin ends and the other begins, if that makes any sense. Sarginson really tries to explore the way twins are connected, both in good and negative ways. The bond versus the innate competition. This aspect of the book was very interesting and well done. Sarginson, I read, has twin daughters, so she'll know her stuff. My gripe is with the actual storyline. It was extremely slow moving, and there were so many passages where I just felt the desire to skim over them, because I really wasn't interested in endless descriptions of a dead rabbit or a tree. I understand that the author was trying to make the natural surroundings a character in itself, but it was just too much and took away from the tension of the story. Viola and Isolte/Issey are 'the twins'. The story goes to their childhood and 187, when they are in their twenties. Issey is relatively settled, but Viola is struggling with a terrible eating disorder, and both are struggling with a secret in their past. This secret or trauma takes a long time to be revealed, which is fine, but I felt, despite the sadness of the event, that it didn't seem that connected to them. They were not characters I could really feel for, instead I was annoyed with them for being cold and often selfish. I wanted to sympathize, because their past wasn't easy and neither was their present, but I just couldn't like them all that much. The reason for three and not two stars is that the book is quite readable, and I was curious about the ending. Further, Sarginson is certainly and eloquent writer, it was just that her style wasn't quite my cup of tea, so i doubt I'll be seeking out future publications. Free spirited Rose brings up her identical twin girls Isolte and Viola in the countryside of Suffolk – Allowed to run wild, they have a quiet but wonderful life. Fast forward and Viola is struggling with an eating disorder, often hospitalised whilst Isolte has a seemingly good life working in the magazine industry. Just what is it that has set the Twins on two surely separate paths…. Oh what to say about this story…if I were to use one word “haunting” might perhaps be appropriate. Beautifully wri Free spirited Rose brings up her identical twin girls Isolte and Viola in the countryside of Suffolk – Allowed to run wild, they have a quiet but wonderful life. Fast forward and Viola is struggling with an eating disorder, often hospitalised whilst Isolte has a seemingly good life working in the magazine industry. Just what is it that has set the Twins on two surely separate paths…. Oh what to say about this story…if I were to use one word “haunting” might perhaps be appropriate. Beautifully written certainly – with two wonderful and connected characters at its heart it is immediately absorbing and utterly compelling. These two girls, connected so closely by blood and yet torn apart by life events, will surely touch your heart. Written at various times from the point of view of both Isolte and Viola, we hear their separate versions of incidents of their childhoods, events beyond those years and how they view each other and those around them. Utterly fascinating on every level you both will and will not want to finish their story – I was bereft at the thought of leaving them behind and yet impatient to find out how it all turns out for them. The relationship between the Twins is of course the mainstay of the tale and yet Saskia Sarginson has managed to immerse us into the world of those characters who interact with them – John and Michael particularly – with just as much appeal. When the story is done you will look back on it fondly. All in all a terrific read – one that had me turning the pages until late into the night once more and also one that left me with a tear in my eye…Superb. A little note: Anyone that follows me knows I’ve always got my eye out for great cover art and this one is eye catching and rather beautiful. I am pleased to have it on my shelf. I was slowly but surely drawn into this novel about two sets of identical twins - one without a father and a wildchild alcoholic mother, the other with an abusive father - who bond together while left to their own devices in the backwaters of the Suffolk coast. This is a dark, pull-no-punches story - some anxorexia parts are just short of harrowing - but overall it is uplifting. Intially the flashbacks and multiple povs were a little difficult to get to grips with, but soon got into my stride and I was slowly but surely drawn into this novel about two sets of identical twins - one without a father and a wildchild alcoholic mother, the other with an abusive father - who bond together while left to their own devices in the backwaters of the Suffolk coast. This is a dark, pull-no-punches story - some anxorexia parts are just short of harrowing - but overall it is uplifting. Intially the flashbacks and multiple povs were a little difficult to get to grips with, but soon got into my stride and had to get to the end. The language is lush and often poetic. 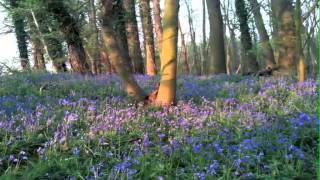 I love how the settings are described - now want to go and live in Suffolk! Isolte and Viola are identical twins, raised by a hippy mum in a cottage nestled in the forest. There they met another set of identical twins, roughouse Michael and John. Together, all four share their time in the forest and by the sea. Tragedy sends the girls to live with an aunt and lose contact with their childhood friends. Fast forward and Issy is in the fashion industry, whilst Viola struggles to make her way or find her place in the world. I really enjoyed this book, although at times it w Isolte and Viola are identical twins, raised by a hippy mum in a cottage nestled in the forest. There they met another set of identical twins, roughouse Michael and John. Together, all four share their time in the forest and by the sea. Tragedy sends the girls to live with an aunt and lose contact with their childhood friends. Fast forward and Issy is in the fashion industry, whilst Viola struggles to make her way or find her place in the world. I really liked reading The Twins by Saskia Sarginson. Why did I want to read The Twins? Apart from when I was pregnant I really wanted twin girls. I love read stories about twins. One of the things that I liked about the story were the names of the twin girls Isolte and Viola. A little about the story of The Twins. The twins mother would not tell the twins who their father was. All the twins know is that their mother met him at a festival in California. The twins do suspect that their father is a f I really liked reading The Twins by Saskia Sarginson. All the twins know is that their mother met him at a festival in California. The twins do suspect that their father is a famous singer. The Twins is a very unforgettable story. So much happens in the story. Throughly enjoyed this story; Saskia's ability to intertwine the different time periods of the characters lives was brilliantly executed. I felt like I was standing on the outside watching the characters evolve. My only regret was that the ending was left open for our own interpretation, I wanted to be able to witness Viola & John's reunion after so many years. Senti sérias dificuldades nesta leitura. Arrastei-a durante duas semanas até que a finalizei. É complicado pelo saltar constante da história. O passado e o presente que se misturam e que nos conduzem a um presente que não é o nosso ainda, mas os anos 80/90. A opinião em breve no blogue Aromas de Cor. Very disappointing as I usually like Richard and Judy books.I struggled through the first half and then skim read to find out what happenned. The story is told by different people at different time which I found confusing and it was so long. Some books give you a good feel after them. This had the opposite effect and left me feeling both cross and confused! Getting to the half way point of this book was excruciatingly difficult. I was about to give up on it when it got a little more interesting. I plodded on hoping for a good ending but sadly it never came. I wasn't keen on the way the story was told, how long it took to unfold and the endless discriptions of smells. Just boring. Saskia’s Sarginson’s debut novel, The Twins, is both a touching coming of age story as well as exploring the impact of childhood trauma and guilt through the eyes of identical twins and the special bond they share. It is 1972 and identical twins Viola and Isolte move with their hippy mother Rose from a commune in Wales to a cabin in the woods in rural Suffolk. With Rose fancying an alternative lifestyle and encouraging her girls to be wild and untamed, the twins enjoy a lot of freedom, roaming the local woods on their bikes. It is in the woods that they meet twin brothers John and Michael, forming a close friendship with both boys. But life is about to change when Rose meets Frank and his small daughter Polly, and soon after announces her engagement. Resenting the change, the girls desperately try to find a way to shake off the unwanted intruders. In 1987, both girls have grown into young women, still haunted by memories of their last summer together as a family. Whilst Isolte has made a career for herself and is in a steady relationship with a supportive man, Viola has never been able to overcome the trauma of the incident which robbed them of their innocence. Floating between life and death in the hospital where she is being treated for her anorexia, she is reliving some of the childhood memories which led up to the fateful night. And although Isolte can never understand her sister’s self-destructive behaviour, she will do anything to help her twin survive – including going back to Suffolk to reclaim their past. Switching between the girls’ past and present (which in this case is 1987), Sarginson uses the third person narrative as well as Viola’s memories in the first person to slowly reveal the events which led to the incident that changed the twins’ life forever. And although dual time novels can sometimes be disjointed and confusing, the style really worked for me in this novel, slowly building the suspense leading up to the fateful night whilst letting the reader know of its far reaching consequences well in advance. By giving Viola a voice, the story gains in emotional depth and lets the reader catch a glimpse into the reasons for her self-destructive behaviour. I found it especially interesting how each twin coped with trauma –raising many questions on the nature vs nurture front. Both girls had the same upbringing and identical genetics, and yet their coping styles are completely different as they suffer the consequences of their childhood experiences. Everyone who has ever lost a parent, at whatever age, will understand that notion well. This and other observations, casually woven into the novel, made it a bitter-sweet reflective read which stayed with me for a while and makes Sarginson an author to watch – I am looking forward to her next novel.